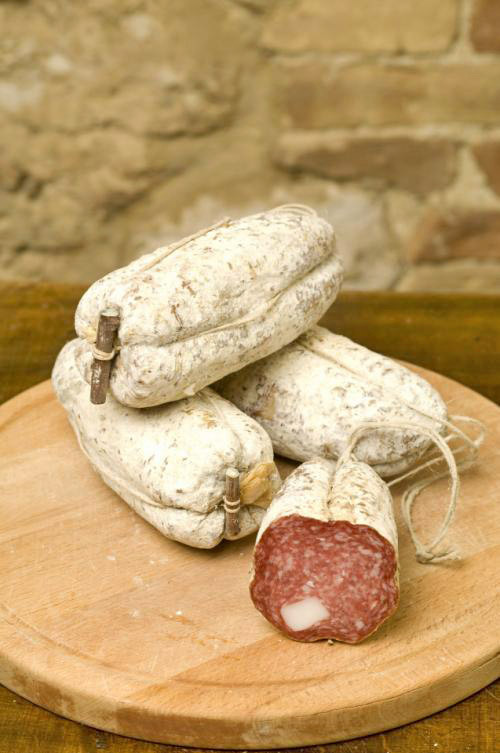 Campotosto mortadella is produced in mainly in the municipal area of Campotosto, in the Province of L’Aquila. 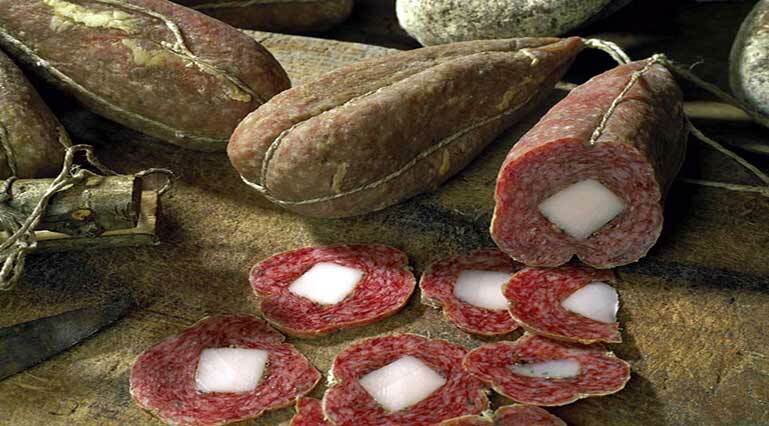 This is handmade charcuterie, using finely-ground heavy pork, with a characteristic strip of lard (“lardello”) inside. It has a characteristic oval shape and is sold in pairs. A twig is inserted in the lower part of the mortadella and used to tighten the twine that slackens as the item matures. The size varies between 400g and 500g for a couple when fully mature. 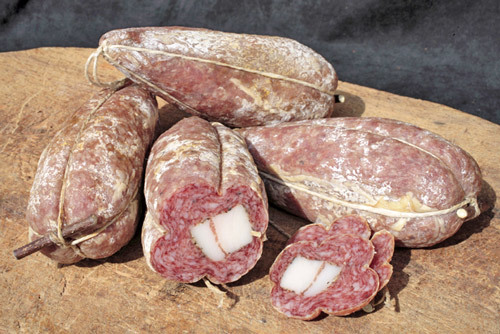 The meat is pink and the central lard is pure white, flavoured with natural herbs (the amounts vary depending on the recipe use, handed down over the years in producer families), which give the product its mildness and typical fragrant aroma. The cuts of meat for the preparation of the Campotosto mortadella are: shoulder, neck, loin, leg, belly. The proportion of the various cuts must guarantee 80% lean meat (minimum of 25% of ham) and 20% of belly. The meats are ground with a grinder that has a 2-4mm bore diameter grille, using very sharp blades to avoid fat disintegration. After grinding, the meat is flavoured and aromatised with salt (24-26g/kg), ground pepper (1g/kg), coarsely-chopped pepper (2 g/kg), herbs and white wine. The minced meats mixed with the flavourings are left to mature for no less than 24 hours at a temperature of 0-4°C. Separately, the large intestine is prepared by inflating it and cutting it lengthwise, then washing it carefully. This is used to wrap the entire “mortadella”. During processing 325g portions of the mixture are prepared and moulded manually to make the typical shape. At this point the 20x20x110mm strip of fat will be placed inside the “mortadella”. Then the “mortadella” is tied in pairs, with a double bridle using medium-gauge twine, and hung on wooden rods. Tradition dictates that the work be done only at times when there is no moon or when the moon is waning. The “mortadella” is exposed to smoke for 15 days, above hearths or braziers stoked day and night with oak or beech wood. Subsequently, in cold, open rooms the cured meat is exposed to the north wind, which is indispensable to guarantee first-rate drying. 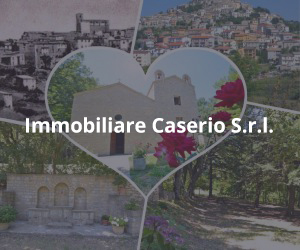 The best microclimate for this was found to be between Campotosto and Poggio Cancelli, at an altitude of 1300-1450m above sea level. About three months after mincing the “mortadella” is ready for consumption. In the past the domestic preparation of “mortadella” often used a “scifone” (a wooden container to encourage the intervention of lactic bacteria in curing the meat) where the filling the makers called “marretto” was stored and occasionally stirred. This process is still undertaken nowadays, to enhance the aromatic features of the mixture and allowing partial drying to take place (although the “scifone” is now replaced by modern containers). Currently “mortadella di Campotosto” (also known by the colourful expression “mule balls”) is produced only by a few families. 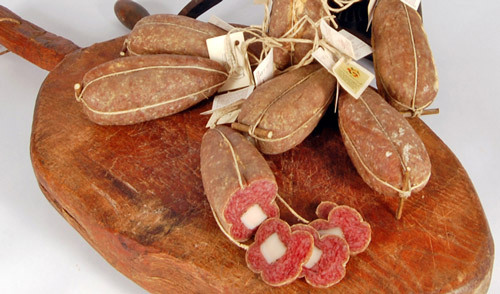 There are many imitation products of the original “mortadella” on the market, but it is impossible to achieve the sensorial traits and, above all, the top-quality raw material of the original.